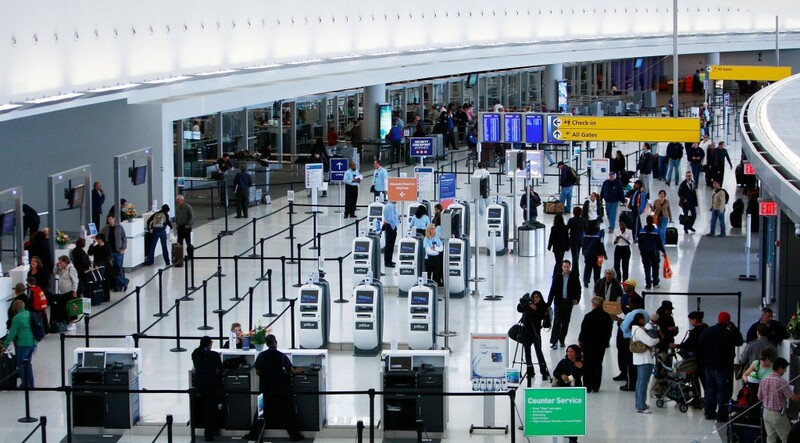 The Waiting Game is a projection designed for an airport check-in line. It provides a distraction for an otherwise frustrating situation. The concept started with a desire to provide a distraction for people waiting in line. While something like a game might require a bit of dedication, a simple response to movement or position might diffuse some frustration. We decided to project miniature airplanes on the floor at an airport queue. They are programmed to fly from the back of the line to the front, but if something obstructs their path, they will steer around it and continue on the designated path. 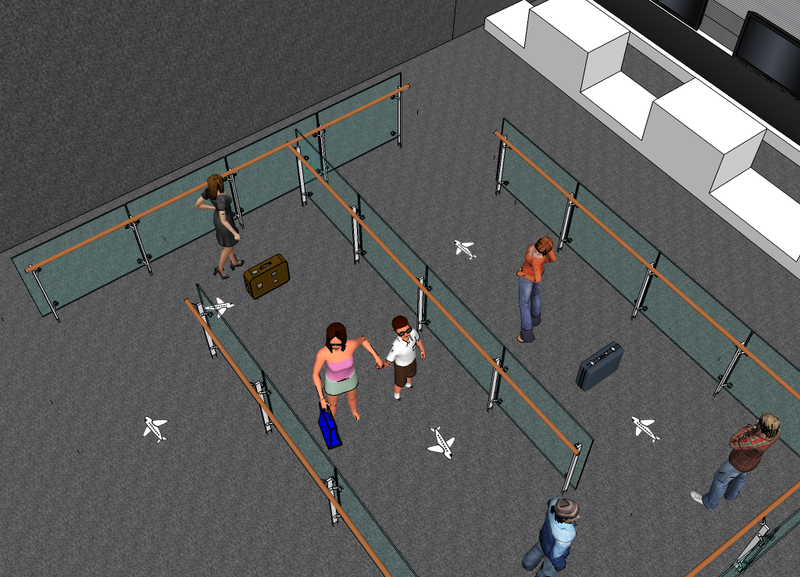 Using a Microsoft Kinect and OpenCV, we are able to determine the position and size of people standing in line. We designate a path for each airplane, but if an obstacle intersects that path, the plane chooses a new route around the obstacle and then returns to the original path.